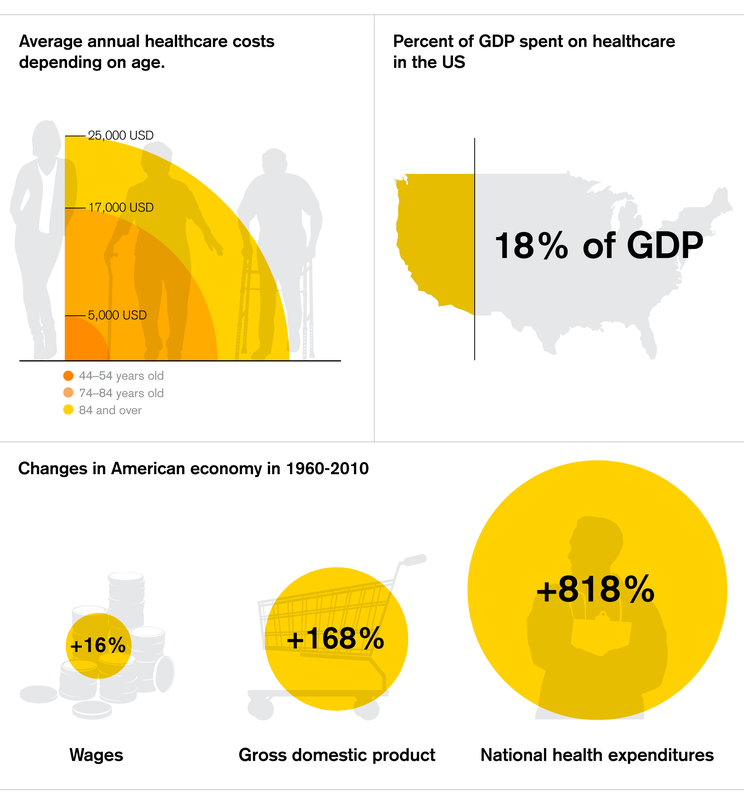 Rising healthcare costs urgently call for innovation in the sector. Digitalization opens up attractive prospects for investors with long-term horizons. Which new technologies offer the most potential in healthcare and which areas of the sector will be most affected? As a result of growing prosperity and rapid advances in the healthcare industry, we have seen a significant rise in the aging population over the last 30 years. This has caused healthcare costs to spiral: in the US they have skyrocketed by more than 800 percent since 1960. This contrasts with wage growth of just 16 percent. Without significant changes in the underlying business model of the healthcare sector, this trend will soon prove unsustainable. Finding new solutions is therefore more critical than ever before. Will Robots Start Giving Us a Hand? Finding innovative ways to harness digital technologies looks to be one of the most compelling solutions to the question of healthcare's swollen price tag. Digitalization has the potential to reverse the trend of ever-increasing costs, an effect that a number of industries have already benefited from over the past 20 years. Industries that have successfully implemented digitalization (including automation) have been able to reduce their production costs – in some cases dramatically – while materially improving and extending their product and service offerings. The healthcare sector is at least a decade behind the digitalization curve. According to The Economist, around one-fifth of today's healthcare spending is unnecessary. Typical avoidable cost sinks include incorrect or unnecessary treatments, which Swiss health insurers' association Santésuisse recently cited as partly responsible for steadily rising health costs. In the past, legal and regulatory uncertainty regarding digital solutions held back the use of technology in medicine. However, with regulators giving the green light to the use of new digital technologies, doubts are clearing up, opening the floodgates for new digital solutions. What Are the Implications of Digitalizing Healthcare? Research & development includes areas like science tools and services, diagnostics based on molecular biology and artificial intelligence, and high-precision genetic sequencing. One example of genetic sequencing is the Human Genome Project, founded in 1990, which aims to decipher the complete sequence of human DNA. According to the National Human Genome Research Institute, in recent years the cost of sequencing a human genome has dropped from an estimated 100 million dollars to currently around one thousand thanks to advancements in computing capacity. This will help scientists to understand diseases better and develop new treatments in the future. Medical treatments will experience the most far-reaching implications of digitalization, affecting areas ranging from biotechnology, medical technology and surgical robots to personalized medicines and state-of-the-art implants. Genetic modification will make personalized cancer therapy possible, for example. According to current estimates, it is now possible to increase the treatment success rate for specific forms of cancer from roughly 7% to around 70%. This means that follow-up treatment costs can be reduced enormously. Another widely-known example is robot-assisted surgery. Smaller incisions with minimal bleeding and scarring and consequently faster wound healing, lower complication rates and notably shorter hospital stays all contribute to reducing healthcare costs. Efficiency can also be enhanced through technological innovations. This applies to technologies that organize administrative and operative processes in hospitals faster and cheaper, to innovative health status monitoring devices (e.g. fitness trackers), and to healthcare-relevant big data analytics. In particular, digitalization makes it simpler, more efficient and reliable to implement the so-called care continuum, a system that makes all previously recorded information and data available to the parties involved. In current practice, patients are examined by various specialists, whereby routine patient tests are frequently duplicated, either because it is unclear whether they have already been performed or else because the results from the preceding examination were unavailable. Once the legal and regulatory doubts about using digital solutions in healthcare are clarified, and healthcare companies find suitably robust ways to guard digital products and services from hacker attacks, it will be possible to achieve substantial cost savings in this area. Find out more on the Supertrends microsite.